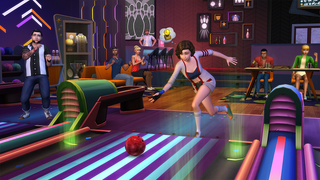 The Sims 4 will receive its next Stuff Pack, Bowling Night Stuff, on March 29th. The Sims 4 will receive its next Stuff Pack, Bowling Night Stuff, on March 29th. You’ll be able to take your sims bowling, dress them up in retro, rockabilly outfits, as well as build your own bowling hangout.